The "Saturday Night Live" announcer died at age 96. "Saturday Night Live" announcer died on August 18, 2014. Few would recognize his face, but most would know his voice: that booming baritone that for nearly four decades would introduce the lineups on "Saturday Night Live." Don Pardo, the durable television and radio announcer whose resonant voice-over style was widely imitated and became the standard in the field, died Monday in Arizona at the age of 96. Pardo — a handsome man with a strong chin and confident smile that were overshadowed by his majestic delivery — graced newscasts, game shows and TV programs for more than 60 years. During the original version of "Jeopardy!," his answers to the question, "Tell 'em what they've won, Don Pardo," became a memorable part of the program. And he was an integral part of "Saturday Night Live" for almost four decades in his role heralding the cast's names to kick off each show, which led former cast member Jimmy Fallon to comment later, "Nothing is like the moment when Don Pardo says your name." He continued at "SNL" through the end of last season, when he performed the introductions on the finale in May. During his career, Pardo's resonant voice-over style was widely imitated and became the standard in the field. His was no ordinary voice and he guarded it closely, with cough drops always at the ready. "My voice is my Achilles' heel," Pardo said in a 1985 interview with The Associated Press. "When I get sick, it's always my voice." Dominick George Pardo was born in Westfield, Massachusetts, on Feb. 22, 1918, and grew up in Norwich, Connecticut. One of his first jobs was that of ticket-taker at a local movie theater; even then, his voice was commanding. "I'd go out there with a cape and say: 'Standing room only in the mezzanine. Immediate seating in the balcony.'" His father, Dominick, owned a small bakery and had wanted his son to join the business. But Pardo followed his own dream and, after graduating from Boston's Emerson College in 1942, began his vocal career at radio station WJAR in Providence, Rhode Island. Two years later, he met a supervisor at NBC who hired the young Pardo immediately upon hearing his voice. He moved to NBC's New York affiliate, and never left the network. Pardo made his mark right away, reading news dispatches on the radio filed from the front lines during World War II. After the war, he became an announcer for such shows as the "Arthur Murray Party," ''Colgate Comedy Hour" and "Your Show of Shows." In 1954, he was brought in to announce "Winner Takes All," beginning a long run in game shows. 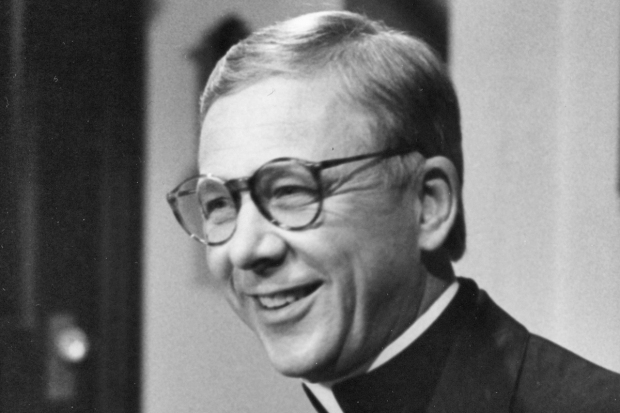 His voice was heard on the "The Price is Right" in its early years, and he was the announcer on the original "Jeopardy!" (1964-75), hosted by Art Fleming. Then in 1975, NBC launched "Saturday Night Live" with Pardo as its announcer, introducing him to a new generation of viewers with a voice as magnificent as ever — although, on opening night, he botched one of the credits. Instead of saying "The Not Ready for Prime Time Players," Pardo introduced the show's new comedy troupe as "The Not for Ready Prime Time Players." But with a voice like his, any name sounded impressive. 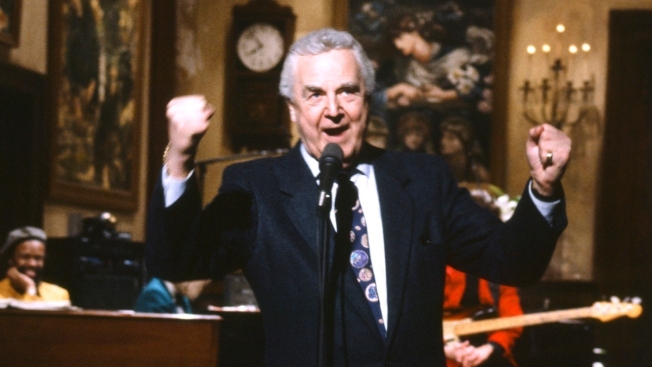 Aside from Season 7, when he was displaced, Pardo remained the "SNL" announcer for decades. In between working on all these shows, Pardo often spent several hours a day in an NBC sound studio, letting viewers know before each break to a commercial that the last program was brought to them by a certain advertiser. As such, he was one of the last network "booth announcers" working a regular daily shift, a classic broadcasting duty that fell prey to the modern age of easily pre-recorded messages. And every weekday afternoon for several years in the 1980s, Pardo would quickly clad himself in a tie and blazer to step on camera long enough to announce the local New York station's "Live at Five" newscast — although Pardo's vocal alchemy rendered it as "Liiiiiiive at Fiiiiiive!" Pardo retired from NBC in 2004. "But Lorne Michaels called me soon after and asked if I would continue for three more weeks, so I did," Pardo told the AP in 2010. "Then he called and asked if I would do five more, and so on. I never really left." For several years, Pardo commuted from Tucson each week the show aired. He arrived to open the show in Rockefeller Center's fabled Studio 8H, just as he had always done, then caught a returning flight. At the end of the show on Feb. 23, 2008, he was brought on camera to blow out the candles of a birthday cake in celebration of his 90th birthday. In later years, he recorded his introductions from home. During his career, Pardo appeared in several movies, mostly as himself or an announcer like himself, including "Radio Days," Woody Allen's celebration of the Golden Age of broadcasting, in which Pardo played a game show host. He also made a guest appearance on Frank Zappa's 1978 album, "Zappa in New York," and "Weird Al" Yankovic's 1984 album, "In 3-D."
In 2009, he made a guest appearance on the NBC sitcom "30 Rock." And his services were also retained for commercials. In a mid-1990s spot for long-distance provider MCI, he played host of the "AT&T True-False Quiz." Pardo posed the question whether "every AT&T customer gets true savings." A buzzer went off. "False!" he boomed. "Forty million save nothing." In 2010, he was inducted into the Academy of Television Arts and Sciences' Hall of Fame. Pardo is survived by five children.